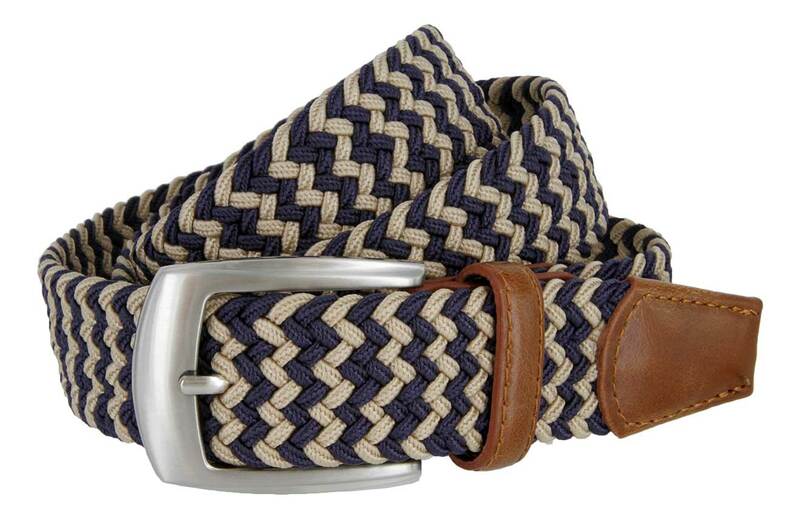 A two-tone belt of braided elastic cord, with leather reinforcing at the tip and buckle. Features a brushed nickel buckle. 1-1/4" wide.